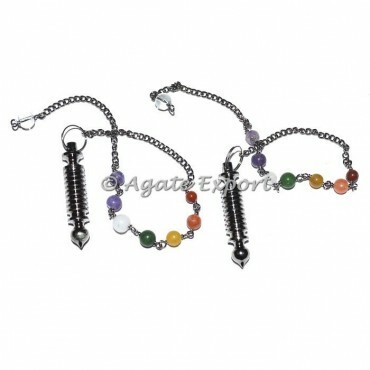 Chakra chain with Twisted Black Metal Pendulums is combination of black metal and chakra. Chakra is used for healing in body and mind and also used in meditation. This amazing Twisted Black metal pendulum is available in wide range and affordable price only at Agate Export.